Systemic lupus erythematosus is a rare and incurable autoimmune disease in which the immune system attacks healthy tissue. Also known as SLE or sometimes just as lupus, systemic lupus erythematosus affects about .05 percent of the global population. It's nine times more prevalent in women between the ages of 15 and 35 years. It's thought that lupus is triggered by environmental factors. Because it involves the immune system attacking all types of healthy tissues, it's associated with a long list of associated risks and complications. These include cardiovascular disease and kidney disease. 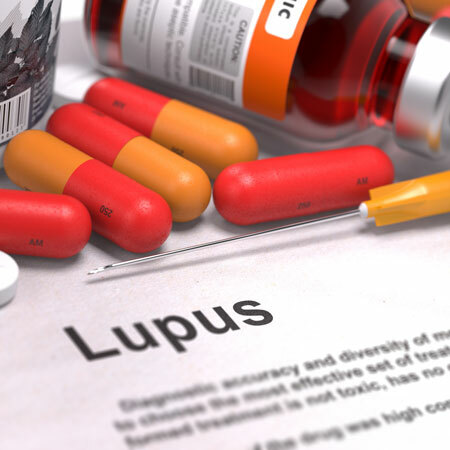 In South Africa, systemic lupus erythematosus is one of 27 chronic disease list conditions identified by the Medical Schemes Act as eligible for prescribed minimum benefits (PMBs). This means that South African medical aid schemes are required to cover the costs of diagnosis and sustained medical management of the disease, regardless of members' levels of cover. Drug therapy is the backbone of treatment for systemic lupus erythematosus and is used to manage the multiple symptoms of the disease. Prescribed medication differs from patient to patient but typically includes disease-modifying anti-rheumatic drugs (DMARDS), immune-suppressive drugs, analgesics and intravenous immunoglobulin. join the medical aid scheme's disease management programme, in which suitable treatment is discussed and pre-authorised. Why opt for the best available medical aid? Although all South African medical aid schemes are obliged to provide PMB cover for systemic lupus erythematosus, the benefits provided by top-tier plans are far more comprehensive than those of lower-cost, entry-level plans. On lower-cost plans, beneficiaries are required to consult network-linked GPs and specialists, get their medication from designated pharmacies and undergo diagnostic tests and procedures at state or network hospitals and clinics. In addition, these plans usually have restrictive formularies, providing members with cover only for generic medications and for a lower number of medicine classes than mid- to top-tier plans. The maximum amount a scheme is prepared to pay per medicine class will also be lower on less expensive plans. Premium or comprehensive medical aid typically provides benefits well in excess of the PMBs for systemic lupus erythematosus. This generally includes cover for more diagnostic and follow-up tests and procedures, and more specialist consultations per beneficiary per year. A wider range of branded medicine classes is usually covered in full and there’s freedom of choice of healthcare providers. Best medical aid plan for systemic lupus erythematosus? For people living with systemic lupus erythematosus, finding the best possible South African medical aid plan is no easy task. At IFC, our team of independent medical aid specialists are standing by to provide the best advice, based on your individual healthcare requirements and budget. Why not chat to a consultant today?